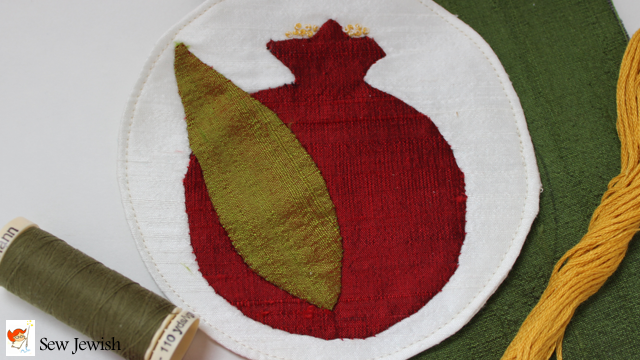 Will you be joining the Pomegranate Guild of Judaic Needlework Convention later this month in Atlanta? I won’t be able to make it, but this little pomegranate will be representing me. It’s made by hand applique using silk dupioni. This one pomegranate is a small part of a banner put together by the members of the chapter I attend, the Kesher Chapter in Connecticut. 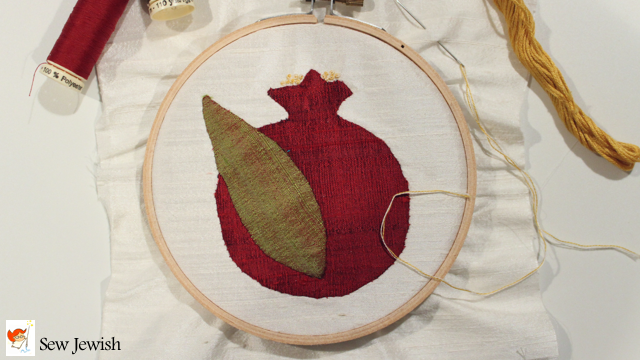 Every member in the chapter contributed a pomegranate made in their own needlework style. The project was coordinated by Chapter Leader Amy Fischer, and the work of creating the banner and attaching the pomegranates was done by members Jodi Wolff, Michele Feldman, and Jane Gitlin Nishball. I thought I’d share the stages of creating this little pomegranate. I learned this technique for hand applique from Jane Townswick’s book, Artful Applique the Easy Way. Since Jane developed the technique and wrote a book about it, I’ll send you to her book for all the details. And I do recommend the book. Jane teaches her techniques through a series of applique patterns for quilt blocks. Her instructions walk you through the details of not only the kind of straight-forward applique I did for this pomegranate, but also more sophisticated techniques like cutwork and reverse applique. In the book Jane makes her blocks using cotton fabrics, but she includes a few points on using the same techniques with silk dupioni. 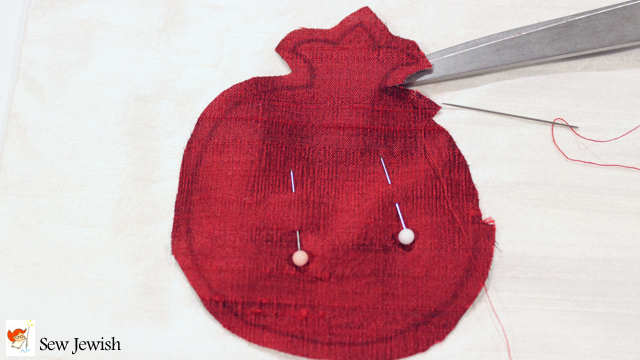 Here’s the key when using using silk dupioni for hand applique: before cutting out the applique pieces, fuse tricot interfacing to the wrong side of the fabric. The interfacing stabilizes the fabric and prevents the edges from fraying while you work. This is also a step I do when preparing silk for machine applique. It’s important that the interfacing be tricot (tree’ coe), because regular fusible interfacing will make the fabric stiff. 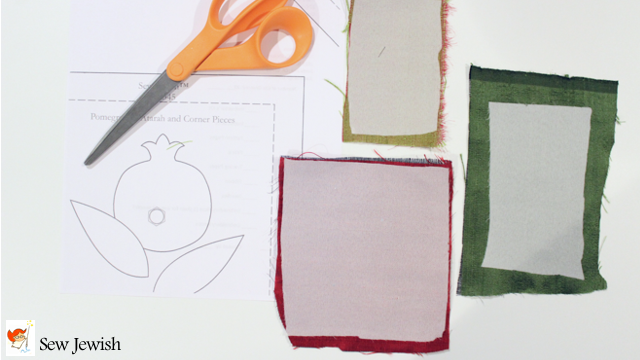 Trace the applique pattern onto the right side of the fabric — I used an air erasing fabric pen. Then cut out the pattern, leaving a narrow seam allowance. 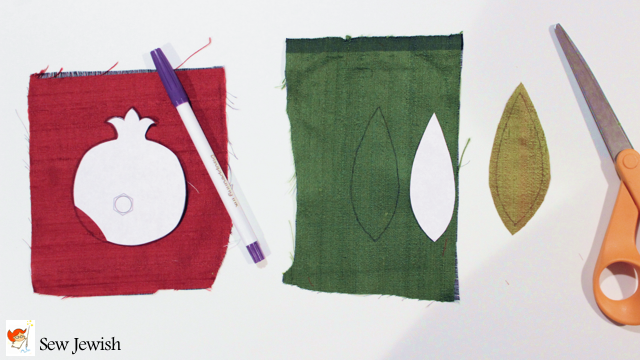 Pin the applique to the background fabric. Sew the applique to the background fabric using small stitches, clipping the seam allowance and tucking it under the applique as you work. After the applique was finished, I added embroidered French knots for the stamens, using a yellow strand of floss together with a white strand to soften the effect. 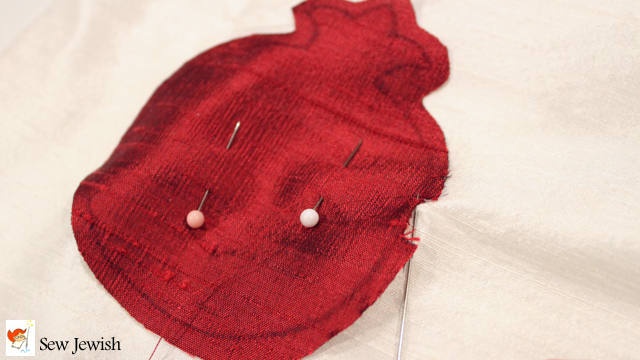 After the applique and embroidery work were done, I cut around the pomegranate in the shape of a circle. I added two layers of fusible stiffening to the wrong side of the fabric so that the final piece would hold its shape. I cut a second circle of silk dupioni for the back. I placed the front and back pieces together with right sides of the fabric facing each other and sewed around the circles of fabric close to the edge, leaving an opening of about an inch and a half (3.8cm). The layers of fabric were pulled right side out through the opening, and the seam allowance at the opening was tucked inside the piece. Finally, the piece was finished by sewing around the entire edge of the piece. 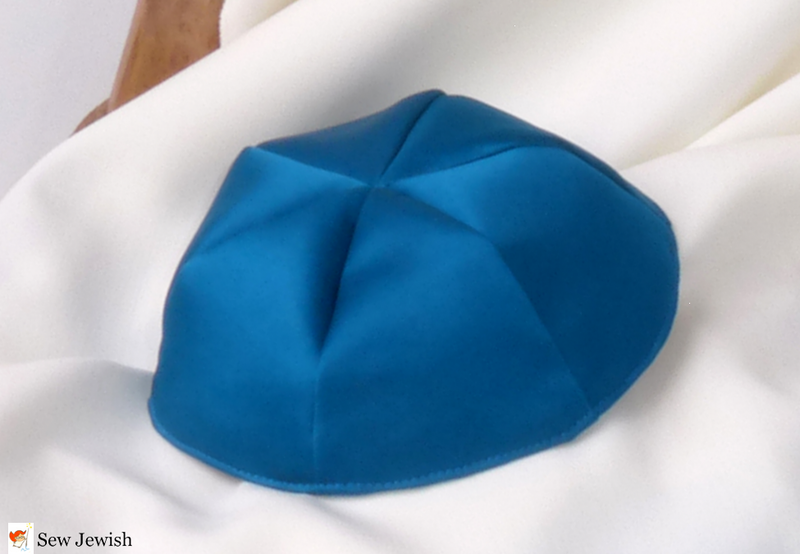 Interested in how the final result compares to the look of machine applique with silk dupioni? Take a look at the machine appliqued pomegranate in this earlier blog post about the pomegranate as a Jewish symbol. And say Hi to Atlanta for me! Tags: dupioni silk fabric, hand applique, hand applique with silk dupioni, Jane Townswick, pomegranate, silk dupioni fabric. Bookmark the permalink. Thank you, Maria. Great instructions, for a wonderful small learning project. I shall miss meeting you at the Pomegranate Guild Convention. Kesher’s banner looks absolutely terrific. 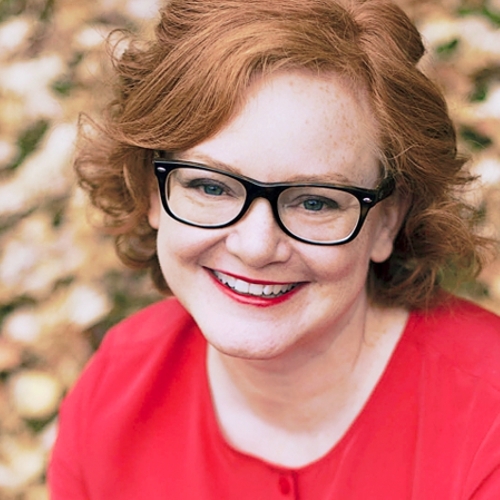 And thanks for all you do for the Jewish sewing community, Barbara!